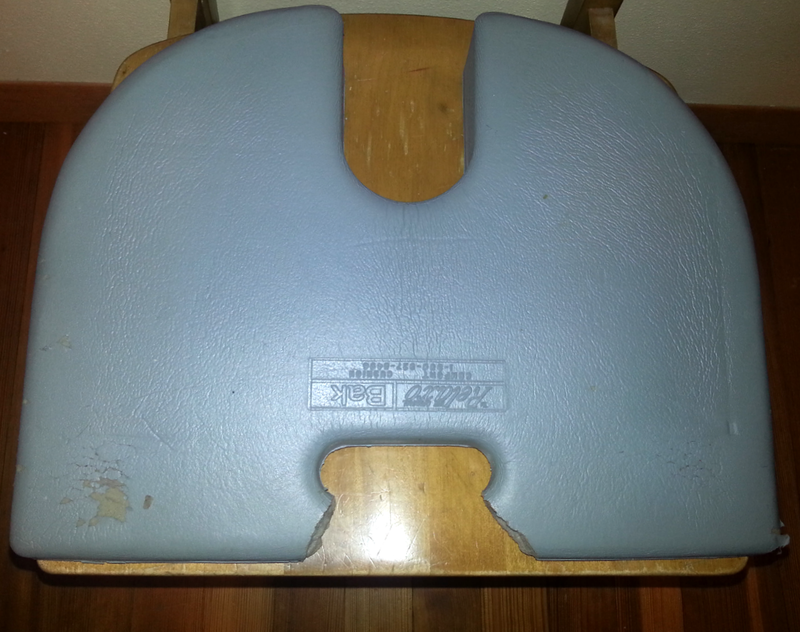 I had an ugly ergonomic chairpad in my office that had seen much better days. The handle broke off because I used to carry this with me everywhere. 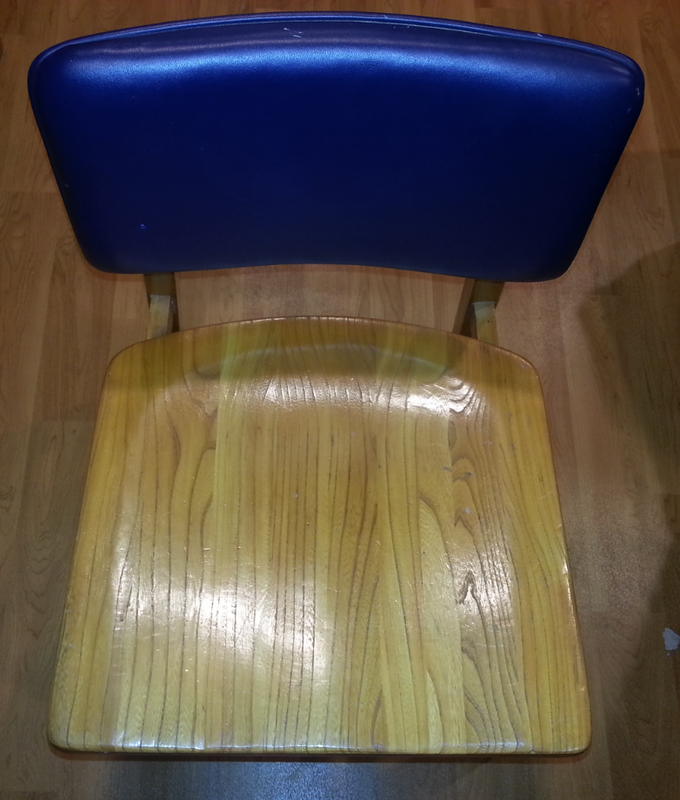 When I got a new desk for my office, I figured it was time to spruce up the chair, too. 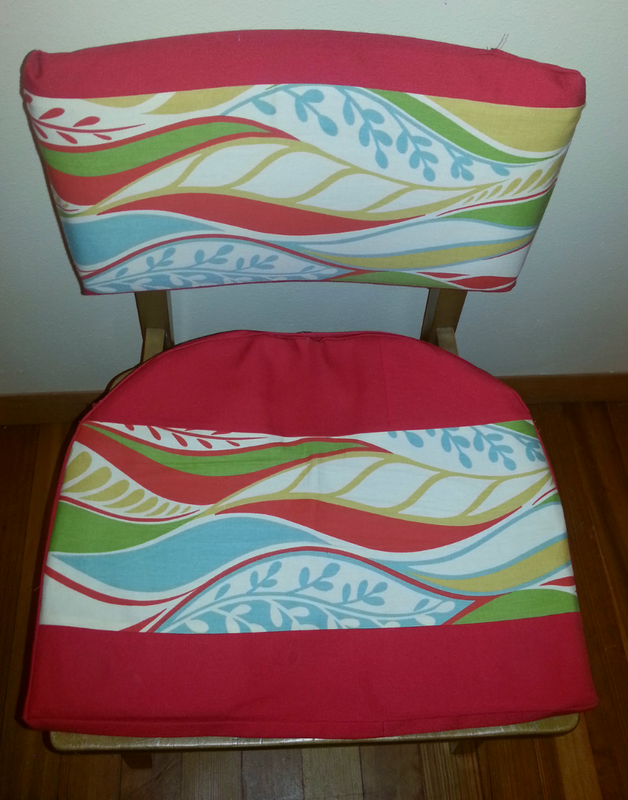 So I decided to sew a cover for the seat and the back. First, I traced the outline of the top/bottom and edges of the chairpad onto the reverse side of wrapping paper, adding a quarter-inch seam allowance all around. Clockwise from right: back edge inside flap, top/bottom (doubled when cut), front edge, side and back edge (doubled when cut). 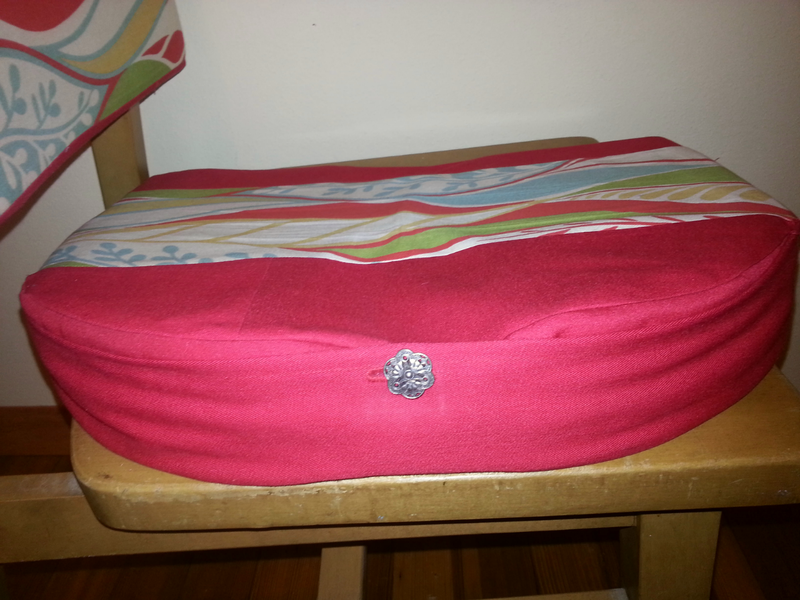 This is what it looked like sewed together, with a button added. 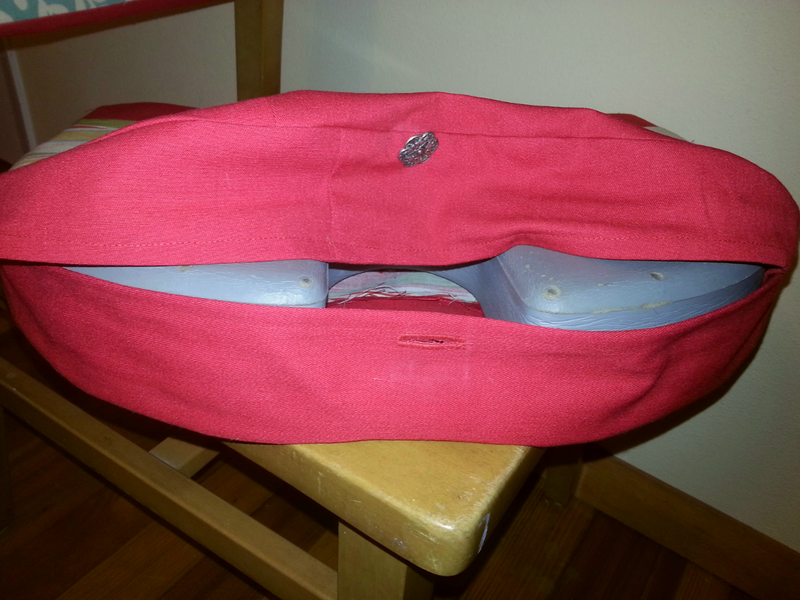 My Pfaff has an automatic buttonhole mode and foot that made the buttonhole easy. Lilo likes to sit on this but, miraculously, she has not tried to eat the fabric. It probably helps that I shut the chairpad in the closet when I’ll be out of the room for a while.